A place in the FA Women’s Super League Continental Tyres Cup awaits either Reading or Arsenal, with the two set to meet in a semi-final showdown at Adams Park on Sunday. The victor will face Chelsea or Manchester City in the first cup final of this season but the sides will know a big 90-minute performance is required before then. 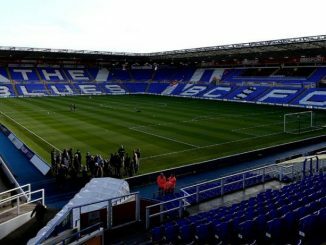 Reading topped Group One South, which included Arsenal, with four wins from four but required penalties to see off Everton in the quarter-finals. A 1-1 draw after extra time sent the game into a shootout, with Kirsty Linnett eventually finding the back of the net with the crucial spot-kick. The Royals were beaten last weekend by Manchester City in the league while Arsenal head to Wycombe off the back of a 3-2 defeat to Chelsea. Arsenal were beaten 2-1 by Reading in the group stage but managed to qualify as a group runner-up before seeing off Sunderland 3-1 in a quarter-final tie. 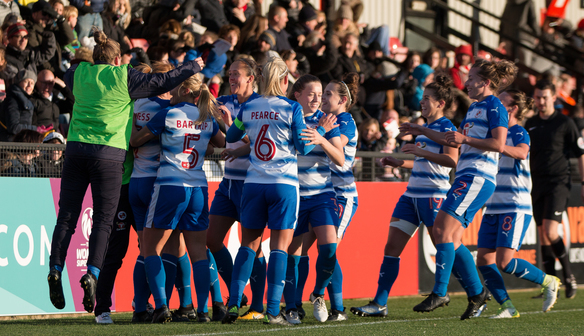 The Gunners’ only previous meeting with Reading this season was in this competition when Fara Williams hit a sensational strike from the halfway line to give her side a 2-1 win. Williams, against her former club, had opened the scoring earlier in the match, with Beth Mead grabbing an equaliser for Arsenal. These two teams face a pair of league meetings in the near future but will be looking to book a place in the final of the Continental Tyres Cup first. After her outstanding showing against Arsenal in the group stage, Williams is surely one that the Gunners need to keep an eye on once again. A former Arsenal player, Williams is no stranger to Sunday’s opponents and she has five goals in all competitions for Reading so far this year. 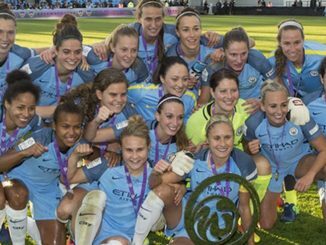 Arsenal midfielder Jordan Nobbs said: “We want to win every trophy we can. It was disappointing to drop points in our last game but whatever we play in, it’s a big game. “Cup games are always special for us. “There were positives against Chelsea that we can take forward into this game. We’ll need to tighten up on a few things because we can’t concede three goals again. Reading manager Kelly Chambers added: “I think we played excellently (against Manchester City) and it’s probably our best footballing display in a first half this season. “She (Natasha Harding, who made her Reading debut against City after joining the Royals from Liverpool) is a fantastic player and she adds a different dimension to the squad, and that’s what I needed to go forward for the rest of the season.